Yields spreads have never been that low between Germany and Southern Europe countries. Rose Ouahba, head of Fixed Income at French asset manager Carmignac, made the point whilst she highlighted the firm’s synchronised monetary normalisation scenario for 2018 during its annual media event on 23 January 2018. Ouahba pointed to two macro indicators backing the idea of a solid European recovery suitable to yield convergence in the area for 2018, the first being manufacturing purchasing managers index figures picking up within the whole eurozone and the second being the continuing downslide of the eurozone’s GDP growth dispersion curve. Will central banks spoil buoyant market sentiment? Carmignac’s fixed income chief said German rates will pick up as a result of Europe’s recovery and tapering from the European Central Bank. The firm will continue to be short on German Bunds. In addition, Ouahba underlined the considerable supply of govies that will be available, not only in Europe but also in the United States, England and Japan, over the next coming years as the amount of assets purchases by these four central banks will progressively decrease, bringing back interest rate risk to the markets. Around $1trn of US treasuries, a segment impacted by Trump tax package, will be available over the year and the amount will more than double in 2019, observed Ouahba. In the US, a play of Carmignac’s fixed income team will be the steepening of the US yield curve. A correction of the global fixed income market can be expected in the words of Carmignac’s fixed income head. 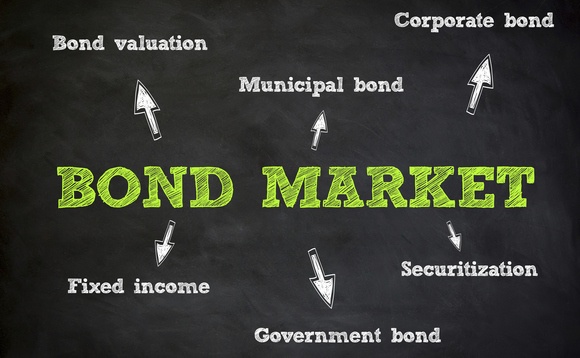 However, Ouahba stressed that the central banks’ current holdings of government bonds (between 20% and 40% depending of the central banks) will be sufficient to enable them managing the bond market environment following rates hikes. Emerging market debt remains among favourite bets of Ouahba for 2018 as the macro picture supports the asset class and given that the real yield differential between emerging markets and developed markets provides attractive carry. Not all emerging markets are good for inclusion in Carmignac’s EM govies’ basket. Ouahba recalled selection was key and expressed a preference for Mexico with its near-zero deficit, Argentina, Russia, Brazil and Turkey.